This Week's Beauty Sales and Deals / August 14, 2017 | Top Beauty Blog in the Philippines covering Makeup Reviews, Swatches, Skincare and More! AMOREPACIFIC — Receive Two Deluxe Samples of Treatment Enzyme Peel and Moisture Bound Sleeping Recovery Masque plus Free Shipping with every purchase, ends 2/28. B-GLOWING — 20% off $60+ makeup orders with code 20MAKEUP, ends 8/16. 20% off hair purchases of $60+ with code 20HAIR, starts 8/10 and ends 8/16. 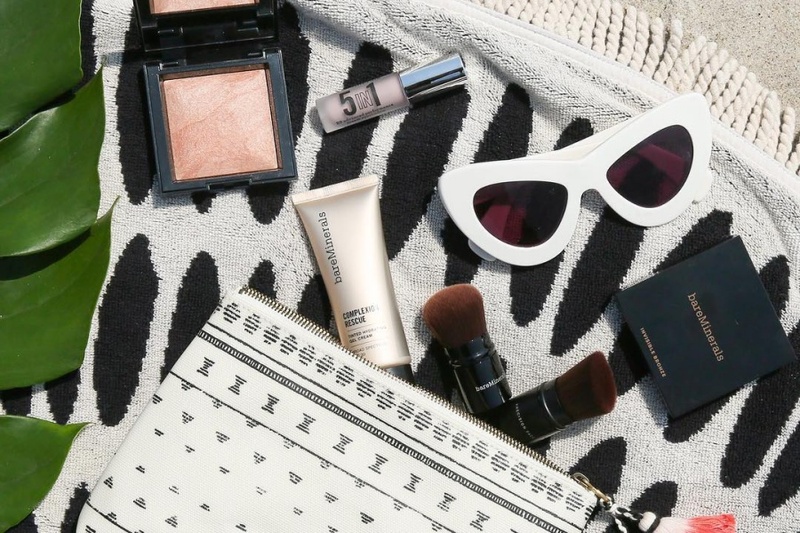 BAREMINERALS — Additional 30% off last chance merchandise, ends 8/20. BENEFIT (UK) — Free delivery on any order over £40 at Benefit, ends 10/03. BUMBLE AND BUMBLE — Enjoy 10% off your first order when you join our email list, ends 8/31. CAROL'S DAUGHTER — 15% off any order with code CDSAVE, ends 10/01. CHANEL — Complimentary deluxe sample of Rouge Allure Velvet in La Favorite with code FAVORITE, ends 8/19. CLARISONIC — Spend $129 or more and receive a free coral cosmetics bag and a Deep Pore brush head ($42 value) with code BRIDES, ends 8/19. CLINIQUE — Pick your 3-piece Back to School Kit with any $40 purchase with code WAKEUP or BYEACNE, ends 8/19. DARPHIN — An 8 Piece Best Sellers Gift with your $100 Purchase with code BEST, ends 12/30. 15% off your first purchase + free shipping on all orders, ends 3/21. KIKO — 10% off select items with code SCHOOL, ends 8/31. LANCOME — Enjoy up to 4 Samples, plus Free Shipping on Orders of $49 or more with code BEACH, ends 8/31. LANEIGE — Buy any two-tone lipstick, get a free gift, ends 8/24. MARC JACOBS BEAUTY — 15% of your first purchase with code WELCOME15, ends 3/31. Receive a FREE FULL-SIZED highliner and FREE SHIPPING with a $50 Purchase with code HIGHLINER, ends 5/25. ORIGINS — Try 6 Flower Fusion masks of your choice for only $35 (save $7! ), ends 12/31. SEPHORA — 4X points for Rouges (early access 8/11), 3X points for VIBs, and 2X points for BIs on all purchases, starts 8/11 and ends 8/19. ** Receive a Skin Superfoods sample bag with any $35 purchase with code SUPERBAG, ends 8/19. ** Receive a Gloss Moderne Clean Luxury Masque deluxe sample with any $25 purchase with code BOSSMOD, ends 8/20. ** Receive a FREE Lancome Mr. Big deluxe sample with any $25 purchas with code BIGLASH, ends 8/22. ** Receive a FREE Dr. Dennis Gross Skincare C+ Collagen Brighten & Firm Vitamin C Serum deluxe sample with any $25 purchase with code BRIGHTENUP, ends 8/23. ** Receive a FREE Murad Oil Control Mattifier SPF 15 PA++ deluxe sample with any $25 purchase with code SHINEFREE, ends 8/26. Receive a FREE CLINIQUE Acne Solutions Clinical Clearing Gel deluxe sample with any $25 purchase with code CLEARUP, ends 8/26. SMASHBOX — Triple Tone Lipstick + 3 Free Eye Minis with $40 Purchase with code EYELOVESBX, ends 8/20. SPACE NK — Get 15% off your next purchase when you refer a friend, ends 9/20. ULTA — 2X points (members) or 3X points (Platinum members) on all purchases, activate rewards here, ends 8/19. 20% off code emailed, plus 2X (members) and 3X (platinum members) points, ends 8/19. ** Buy one, get one 50% off Essence, ends 8/26. ** Buy one, get one 50% off NYX Face & Eye makeup, ends 8/26. ** Buy one, get one 50% off Almay, ends 8/26. ** Buy one, get one 50% off Revlon, ends 8/26. ** Buy one, get one 50% off L'Oreal Face and Eye products, ends 8/26. ** Buy one, get one 50% off Maybelline Eye & Lip products, ends 8/26. ** Buy one, get one 50% off Japonesque Brushes, ends 8/26. ** $3.50 off $15+ purchase with code 504046, ends 8/26. All great looking deals no doubt. Greetings! great. who doesn't love a good discount? Love it so much! Have a great day!